It's always a delight t see what makes you happy each week. Thanks for joining the party and welcome to any one who might be linking up for the first time. So happy to have you! Super Bloom at Anza Borrego Desert State Park. Hubby and I took off on a whim and what a fun time we had! 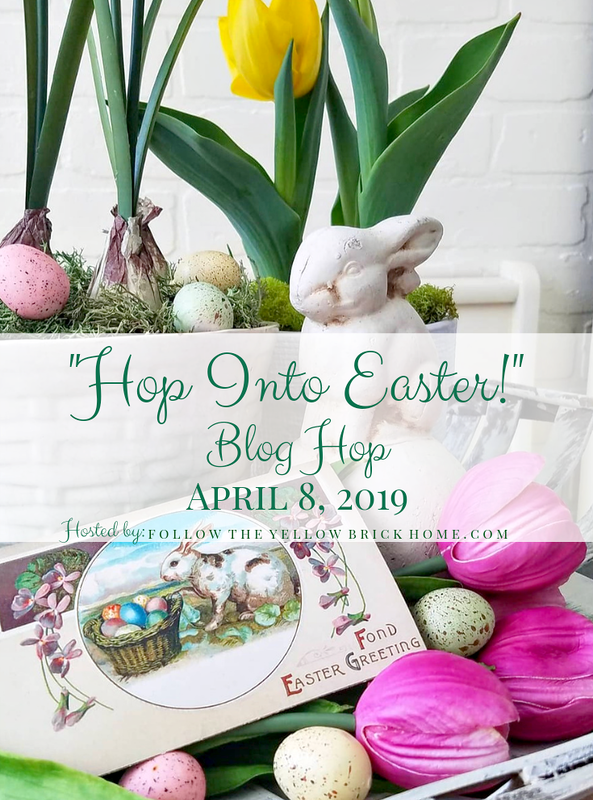 Hello Spring Blog Tour I participated in. Lori from Dining Delight showed us how to create seasonal displays in a tray. Isn't her spring one so cute? 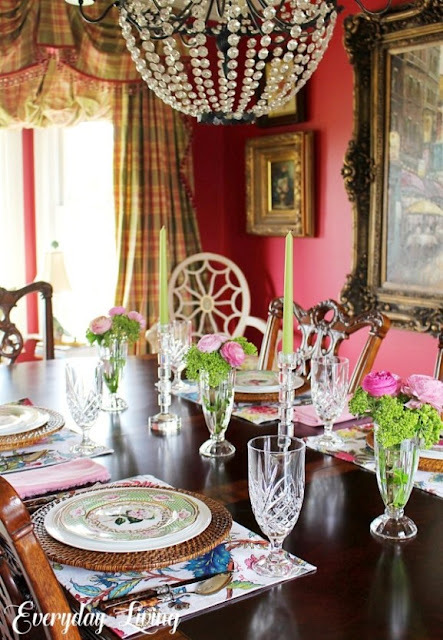 Pam from Everyday Living created a beautiful tablescape using plates that normally hang on her wall. 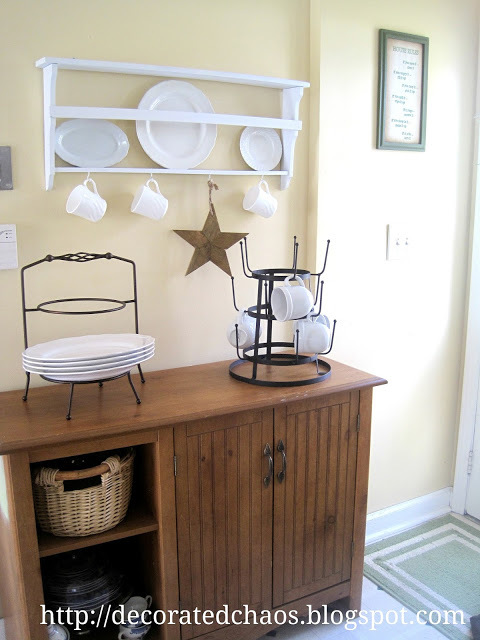 Jennifer from Decorated Chaos made over a thrift find shelf and gave it a farmhouse feel. Shannon from Belle Bleu Interiors shared her beautiful spring porch. 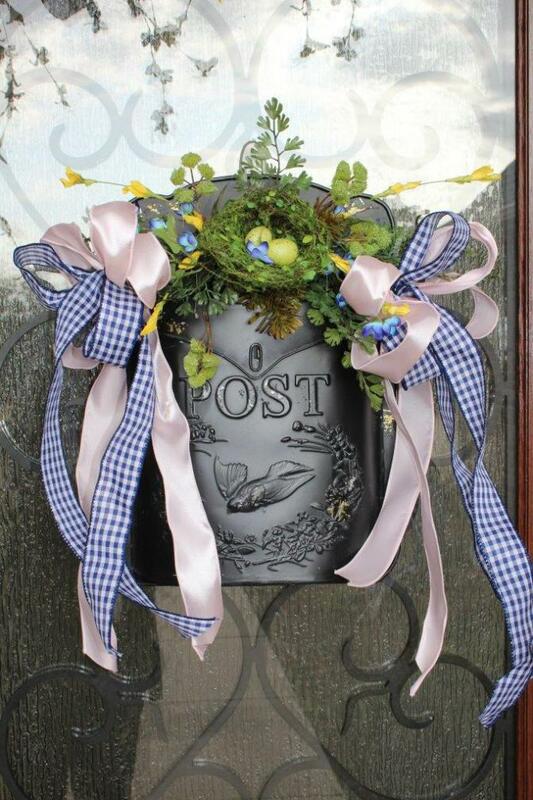 I absolutely love the post box on her front door! 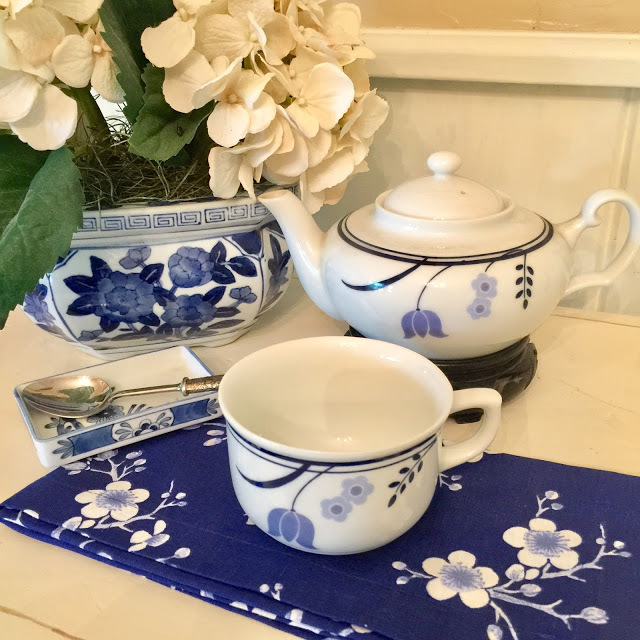 Susan from Ash Tree Cottage shared a wonderful blue and white tea set that she once gifted to her mother. 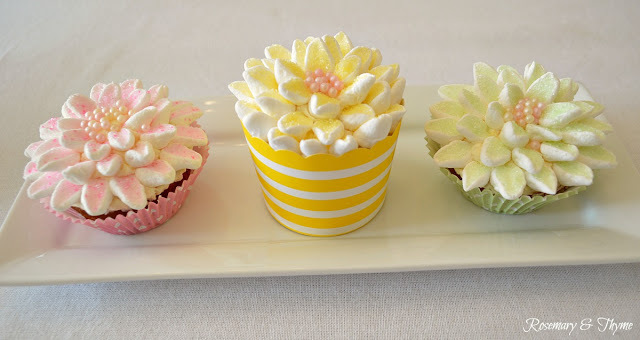 Janet from Rosemary and Thyme shared how to make the sweetest Marshmallow flower cupcakes. 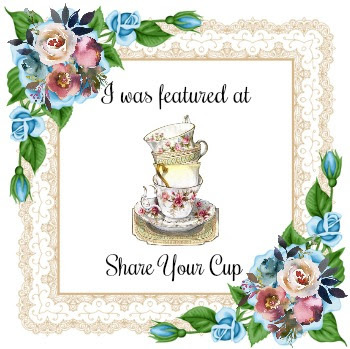 *Each week there are blogs that I would like to feature, but see no link back to Share Your Cup. Spring is my favourite season too, Jann, but it's not looking like spring here just yet with a raging blizzard that will hit us at any moment and into tomorrow. I am so looking forward to green grass and flowers again. Thank you for the party and Happy Spring, dear Jann! 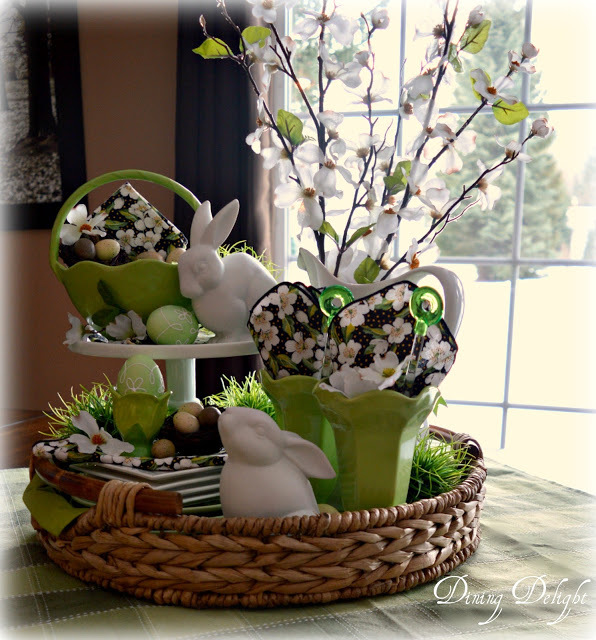 So flattered to see my Seasonal Displays in a Tray post featured here at your terrific party! Thank you so much and thanks for hosting each week. Lucky you getting to dig in your garden...still lots of snow here! Hi Jann, it feels good to be back! Thank you for always being here to host your amazing party! Have a wonderful day! And thanks for hosting each week!! Jann, thanks so much for hosting your fun party each week and I am excited to have my Tablescape featured! Dear Jann, the Spring features look great. I so love Pam's tablescape. 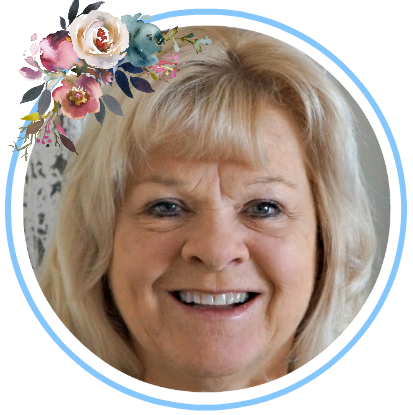 Hi Jann, thanks for hosting your link up party as always! I looked at your Easter Wonderland post and was impressed by your spin of the Alice in Wonderland Tale. Very creative! Spring is indeed a wonderful time! Love this season. Great features...the cupcakes look so tasty too! Thanks so much for hosting and enjoy a , hopefully, lovely spring week! 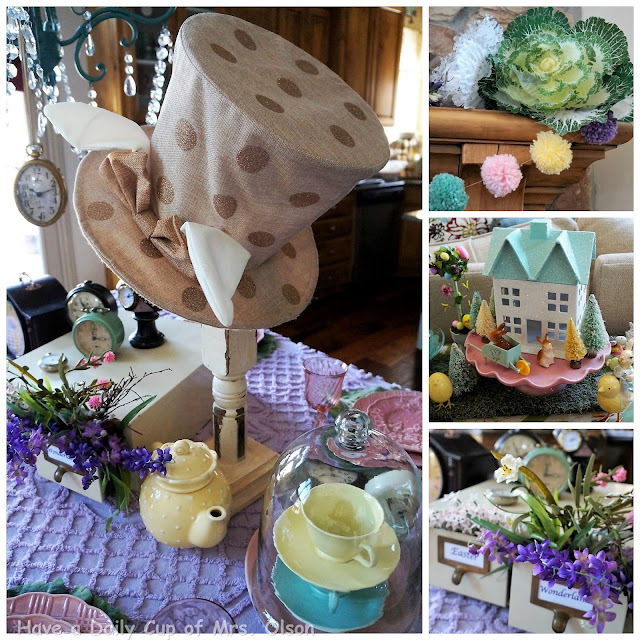 Your Easter Wonderland is just darling, Jann. I'm wanting to see more of your cute houses, and I so love those embossed pink plates. How nice that you and your hubby can get away and have fun. Thanks so much for hosting and have a great week. p.s. I love all the features!! I always love coming here and getting inspired -- and sharing a little too! These are indeed the sweetest Marshmallow flower cupcakes I've ever seen. Another great party, Jann. Jann, thank you so much for hosting each week. I am so excited to have my front porch featured. Thanks so much for hosting Jann! Have a great rest of your week! Jan, I love the spring season as well. Everything is fresh and new! The dessert park looks pretty colorful for a dessert. ;-) Thanks for hosting. 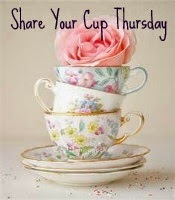 Good morning sweet Jann and thank you for such lovely features from last week blog hop and for hosting today, as well ! Thanks very much for hosting ! I have seen many beautiful things in your blog and through your blog !Hugs,Maristella. Such pretty features, as always, Jann. Thanks for the party and hope your first week of Spring has been a good one. 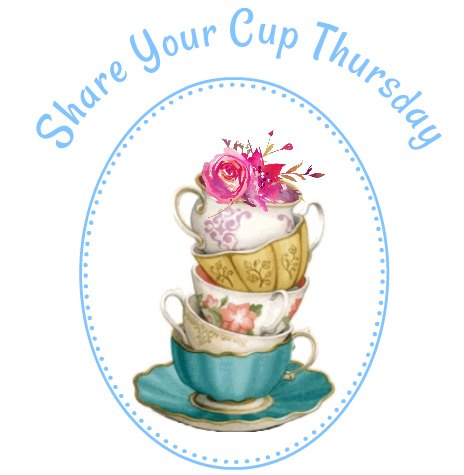 Thank you Jann for your 241st Share Your Cup, appreciated. Love the marshmallow cupcakes feature! Glad to be able to join in again! Hi Jann, thank you so much for your kind comments and thinking of me regarding the antique miniature soldiers. Your recent tablescape is featured on my blog today. I love it so much! I hope you are having a great weekend. I am a bit late to the party this week. I have been so busy of late. Nevertheless, thank you so much for featuring my cupcakes this weeks. I am very grateful. Thank you also for hosting each week. Jann, it's always a pleasure to visit here. Thanks for hosting another fun party. Hi Jann. Thanks for stopping by my blog. 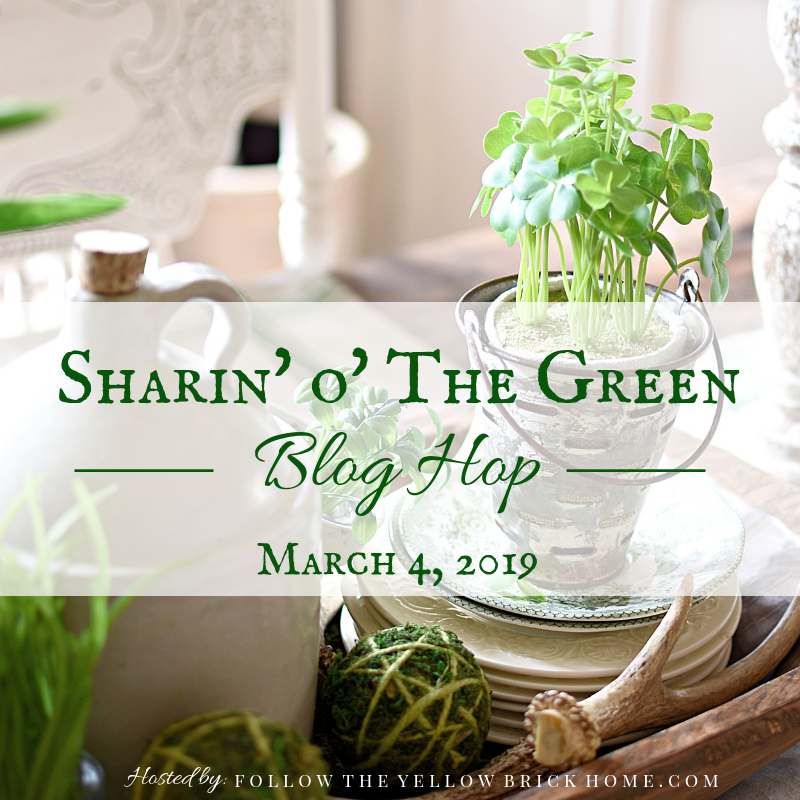 I have been browsing some of the lovely blogs that have shared here. It is such a pleasure to find new ones . I've posted a link on my blog and hope you get loads more people joining in.